MANILA--In a stunning development, Coach Jerry Codiñera fully handed the reins of the Imus Bandera to his assistant Mike Orquillas so he can focus on his stint as Arellano's gaffer. On Thursday night, Orquillas gave Imus a win in his head coaching debut. 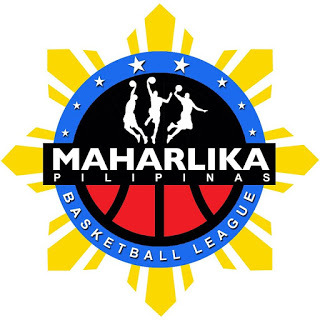 The Bandera rode on a hot third quarter and had enough gas in the tank to subdue the Makati Skyscrapers, 79-76, in the MPBL Datu Cup at the Imus City Sports Complex in Imus. Imus' super sub Ian Melencio waxed hot to lead his team to a huge home win despite Makati knocking at the door late in the match. Trailing, 30-32, at halftime, the Bandera equaled their first half output in only the third quarter, and they opened a 60-49 lead over the Skyscrapers. However, Makati slowly crawled back to the game as Melencio and James Castro, who carried the fight for Imus in the third, showed signs of fatigue in the final frame. Makati eventually was within one, 76-77, with 48 seconds remaining. The Skyscrapers had a chance to retake the lead after Wilson Baltazar missed a three-point attempt with 25 seconds to go, but Cedrick Ablaza missed on his own field goal try and Castro got to chop some time off the clock before getting fouled by Gio Lasquety. Castro went 2-for-2 from the line to up the lead to three. Rudy Lingganay went for a quick triple in Makati's first crack to force overtime, but Dan Alberto blocked his fellow UE alumnus' attempt. Lingganay got a second chance to tie the game up, but his second attempt from long range rimmed out, and Ablaza's follow-up also failed to hit the mark as time expired. Melencio finished with 16 points, five rebounds, two assists, and one steal, while Castro added 12 points, six rebounds, and seven assists for Imus. Jeckster Apinan tallied 18 markers, seven caroms, one assist, and one steal for Makati.